Fine grain bulky solids can almost be continually pulsation free dosed with a minimal volume flow using a vertical rotary airlock valve. These devices dose volumetrically. The accuracy of the dosage depends on the pourability of the bulky solids. 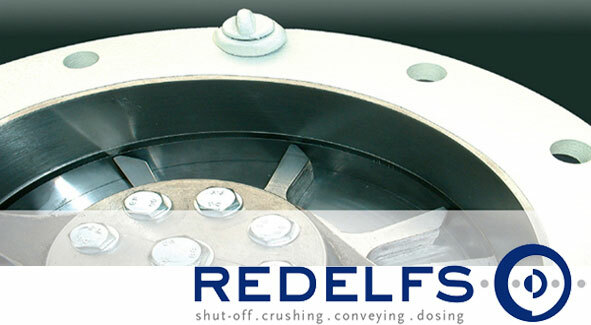 A relative positive dosage result is achieved using a bulkage unit and pressure support, even with less flowing bulky solids.